For seven months prior to the release of the August Credit Power Index, a system that tracks the banking power of consumers by measuring the difference between loan rates and deposit rates compiled by the money management information source MainStreet and the financial industry data expert RateWatch, interest rates on CD were showing slight but consistent improvement. However, the latest Credit Power Index data reveals a reverse in the trend. Meaning when the index goes up, it means that the interest consumers are paying on loans is significantly higher than the interest rate they are receiving on deposits. “The national Credit Power Index may have hit bottom last month,” says the general manager of RateWatch, Rachelle Zorn. 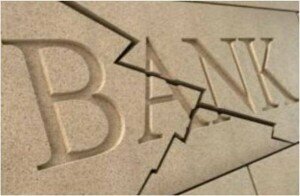 Her statement suggests that an end to the great consumer environment at banks may be close at hand. However, the notion of what makes a “great environment” is entirely relative, as interest rates on savings products such as CD’s have been dismal for quite some time. The current sorry interest situation can be blamed upon the government. “The low Fed funds rate is the real driver here,” says Maria Cappellano, a portfolio manager at investment management firm Eaton Vance who focuses on short term instruments, according to Main Street. Despite the fact that any return investor can expect to receive upon such CD’s and deposits are drowning, many Americans are choosing to take the safer route of wealth preservation over the riskier and much more precarious path of growth investing. What this means is that much of people’s money will continue to be shuttled into these rather unappealing but secure instruments. The only bright side is for people looking to borrow money because, should they qualify, they could get a great rate on a loan at the moment. Despite the grim return money put into savings accounts and Certificates of Deposit these days, it is important that consumers don’t abandon setting some money aside in order to establish an emergency fund. Will Mortgage Rates Go Back Up in 2011? As you well know mortgage rates have been extremely low for quite some time now. Our nation has not seen mortgage rates hit these lows for decades. And even when we think they could not get any lower mortgage rates continue to hit record lows. This has caused as many people that can do so to refinance their home in order to save money. The problem therein lies in the fact that these rates are a product of the week economy, an economy which was set into a landslide when the housing bubble burst into pieces within the last 2 years. Quite a pickle… right? Right. On the other side of the mortgage coin people that are looking to purchase a home are in a screaming good position. Housing prices are low, mortgage rates are through the floor and there plenty of houses on the market. In these economically difficult times low mortgage rates have been a life line for many home buyers and home owners. But are the low mortgage rates going to end? That is an excellent question. Is it going to be by the end of 2010? Will mortgage rates stay low in 2011? Here are 2 Large Factors to watch for to help determine if and/or when mortgage rates may head back up the mountain. Typically big election years can affect mortgage rates. Well, maybe not directly but elections definitely effect consumer confidence, which effects the economy which will eventually trickle down to mortgage rates. Rates do not tend to change much before the election, but we could see some changes or movement in mortgage rates if there is a switch in power. A big change in Washington tends to either build consumer confidence or shake consumer confidence. 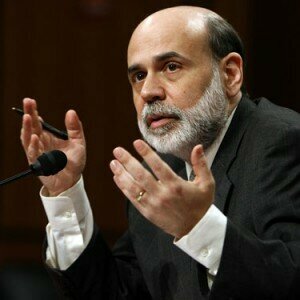 Both of which will have an effect on the economy and ultimately on Mortgage Rates. How does the Economy Affect Rates? Short term loans like credit cards and auto loans are directly affected by the Feds lower or raising of the prime interest rate. The Federal Reserve will move short term rates up or down in an effort to maintain the stability of the nation’s financial system. Economic ups and downs often spur the Feds to take action considering the financial system and mortgage rates. These changes only directly affect short term loans, but indirectly effect long term loans like mortgages. The Prime rate is an indicator of the strength of the economy. 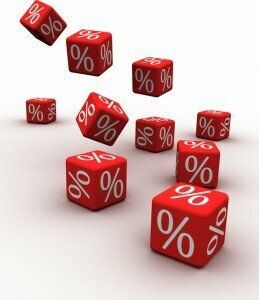 Although not always the case, mortgage rates do often follow the prime rate either up or down. Therefore if there is an economic up term in 2011 we may see the prime rate increase, which will be a sign of a bettering economy and mortgage rates may be soon to follow. Then again we may not see a strengthening economy for some time, so these rates may be a little while longer.